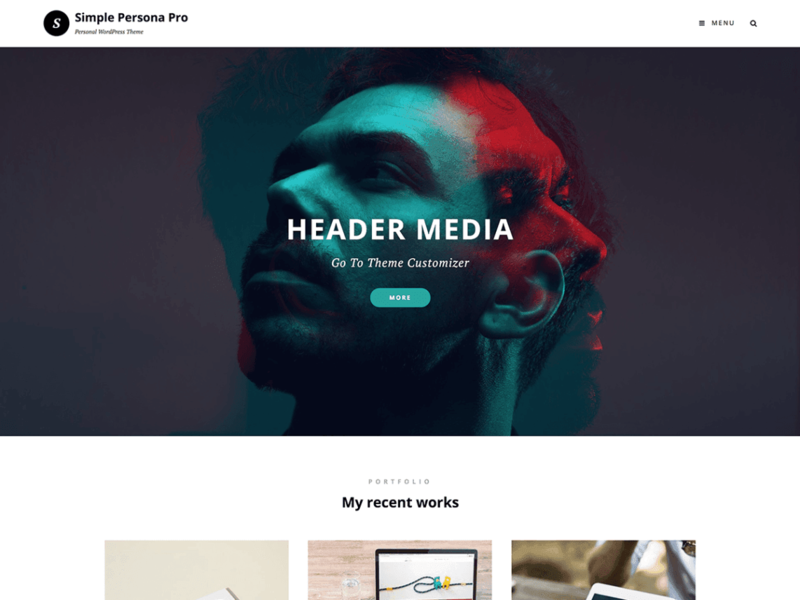 Simple Persona – A Free Personal Blog WordPress theme for professionals is simple, clean and user-friendly. It is specially designed for professionals to create their own personal websites and blogs. The theme has a responsive layout and beautiful design to make your personal blog look warm and welcoming. The theme provides your visitors an easy access to any area that they want to explore on your website. The free theme also has powerful theme customization options as well. Simple Persona comes with some basic features—portfolio, featured content, featured slider, testimonials, and more—that are extremely crucial for your personal website/blog to stand out among others. The theme gives the perfect online niche that is dynamic, multi-functional, and upfront. Therefore, Simple Persona is the perfect pick to let the world know about you. This theme is translation ready as well. For more information, check out Theme Instructions at https://catchthemes.com/theme-instructions/simple-persona/, Support at https://catchthemes.com/support/ and Demo at https://catchthemes.com/demo/simple-persona/.